The gothic tends to thrive in less populated regions of the world, the lands where there are more trees, more stones, than people, environments which nourish both self-reflection and loneliness. And yet it also requires, I think, some sense of a history, evidence that human beings once walked there, that they studied and dreamed, and raised families who would someday mourn their departure, there, right where you’re standing, on the grave of another person’s life. I first encountered the English ghost story in high school, thanks to some scattered volumes in my great grandfather’s library. The house containing that library, built on a distant southwest Virginia mountain ridge before America’s Civil War, was one of the better examples of ornate gingerbread in the region. My grandfather grew up there. There was a portrait of his sister in the parlor—she’d died a child in the 1918 Spanish Flu Pandemic. I still own one of her schoolbooks. I spent a number of summers in that house which murmured and talked though many a hot and humid night, hiding under the covers with a book and a flashlight. There were no streetlights, and the nearest house was some distance away. I never knew a darker place. It was in this setting where I first read those tales of English churchyards and ancient architecture, crumbling ruins and half-glimpsed presences in the curtains, under the sheets, in the shadows behind a door. Helpless victims were in abundance, as were sinister presences. It all seemed terribly familiar, somehow. The settings weren’t that different from the rotting old houses and abandoned buildings (rarely torn down) nestled within the overgrown landscape of the American South. The characters were different—I knew very few scholars, or priests. But there was a similar sense of the impositions of history, of unforgivable racial sins committed in a distant past, and an obsessive interest in spiritual matters, resulting both from the anguish of loss and the sincere hope that there might be a better and richer life beyond. Southern religion, as I experienced it, was a scary thing. It encouraged desperate and eccentric (sometimes grotesque) behavior, and at times unhealthy relationships. Readings in Faulkner, O’Connor, and McCullers bolstered this comparison, and my growing sense of the Southern Gothic. I also became aware that the particular sub-region of the South where I lived, Appalachia, had its own flavor of the gothic. It’s a land of hollows and high mountain walls, a limestone karst geology riddled with caves and sinkholes. The residents were even more isolated than in the rest of the South, more eccentric, more suspicious of outsiders. My two most recent books stem from that time of early discovery. My latest story collection, Here With the Shadows (Swan River Press), is my attempt to emulate those early 20th century English ghost stories I loved so much. 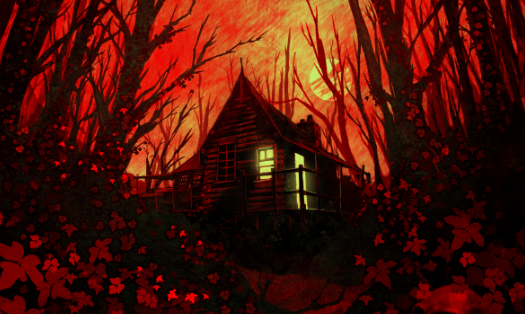 And Blood Kin (Solaris Books), alternating between Depression-era Appalachia and the same region in the present day, is full-on Southern Gothic ramping up into horror. Sounds right up my dark street, Niall. Just ordered a copy, and can't wait to get stuck in. Goddammit if I didn't think I was commenting on the review beneath! 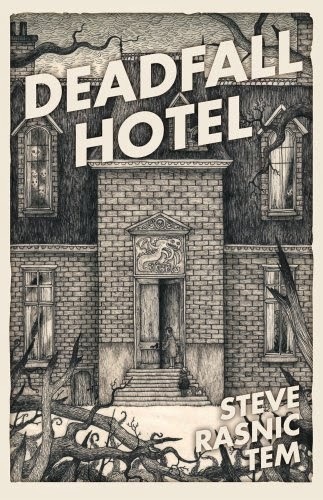 Steve, I'm looking forward to this book very much. Thanks for sharing your thoughts too.